Even though "Iron Man 3" earned more than $1 billion at worldwide box office, Robert Downey Jr has been refusing to return for a fourth installment. Instead, he agreed to reprise his Iron Man role in "Avengers: Age of Ultron" and "Avengers: Infinity War." Then just recently, Marvel announced that Downey will also return for "Captain America: Civil War," in which he'll face off against Captain America. It's been reporting that the studio paid the actor a whopping $40 million, plus potential share of the profits. Because the studio is paying more than it feels comfortable paying and because Downey is becoming difficult to include in the Marvel universe, the actor was asked at a BAFTA event about how many total movies he expects to do with Marvel. "It may verge on double digits," he replied. "But it will probably wind up being a little shy." If you do the math... Downey's contracts include three "Iron Man" installments, "The Avengers," "Avengers: Age of Ultron," the two parts of "Avengers: Infinity War," and "Captain America: Civil War." That's a total of eight films. In other words, Downey will likely return for one other project. And with Marvel's huge slate of films, it may happen sooner rather than later. Fans may like to see the actor play Iron Man for the rest of his life, but we have to remember that he's already 49 years old and has agreed to reprise the role through 2019, when he'll be 54. Do not give a sh*t at all. Really, you should pay a monkey to grammar and spellcheck, Alex. I agree about the monkey. Just pay him him bananas already. Jesus Christ Alex!! Ever heard of proof reading? Nah, he's too busy swallowing c*ck. 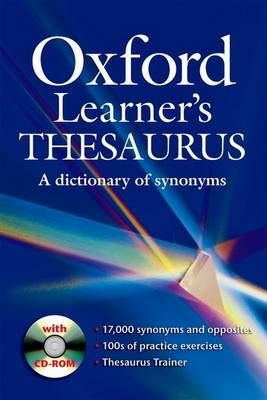 Have you ever heard about a dictionary of synonymes Alex? Anyway, I saw The Judge yesterday (6/10) and I think he should stick with a $40 million paycheck! Sylvester Stallone was willing to get a metal plate in his neck from an injury in his 60's. Downey you can hold on there for awhile longer I think! You're the worst critic on here! Stick to your day job Rambo! R. Duvall and Downey Jr. have a very good performance but the story just dragged too long the family feud. That's all. Overall it's a good film. Homeland is all right but nothing beats Downton Abbey at the moment. "Constantine" is also sh*t: nobody speaks like he does in every single sentence ending it with the term of "mate" or "luv". No one talks like that in f*cking Liverpool! The Black List keeps dropping on me. The Flash is def not for me. The Affair is intriguing but nothing more. Sons of Anarchy is the most terrible ending show I've ever seen. Kurt f*cker should kill himself already! Person Of Interest is just okay but keeps dropping in the plot area. Downton Abbey is the most consistent tv show out there! Can't wait for Jeremy Clarkson to ramble on his Argentinian tour!!! They should've recast him already. Give time for a New Tony Stark to grow on people. Sons of Anarchy has a horrible ending because it's basically Hamlet with motor cycle gangs. Hamlet is one of the most epic tragedies ever. It's horrible. Everybody dies at the end of that sh*t except for Hamlet's best friend Horatio. But Opie's already dead in Sons so who knows who'll be left. I'm betting no one.